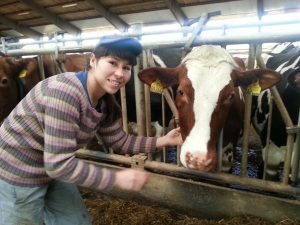 Working Holiday in Denmark - Agriculture Internships in Denmark.Agriculture Internships in Denmark. The working holiday visa allows you to remain in Denmark for one year as a tourist while letting you work. The primary purpose of your stay must be holiday, but you may work during your stay in order to earn supplementary funds to support yourself. Our very popular Hello Denmark local support package! Hello Denmark Support Packages are designed to give you the best start on your work and travel experience in Denmark. You get real support from Kristina & Ove for your entire working holiday. We are experts at work and travel and know Denmark inside and out. Contact Kristina or Ove today for great advice. Fill out the form and send it to us so we have a idea of what you’re looking for. Pre departure planning and visa support assistance. We’ll represent you in the visa application process and make sure your Danish working holiday visa is approved. Arrival orientation. 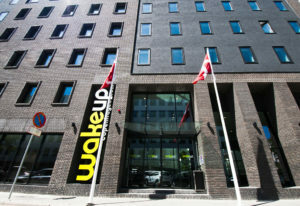 You will be Meet and Greet by our local staff at Copenhagen Airport and driven directly to the Hostel. 2 nights in Copenhagen in hostel double room with breakfast. The Hello Denmark Start Package is only valid for the pre-booked nights. If you want extra nights, these must be booked separately as a normal overnight stay. Detailed job hunting presentation assistance. We advise pre-arranged job with 4-6 month contracts. It is a good idea to ensure a job before you leave – not only to avoid being disappointed but also to save a small fortune. Danish Social Insurance Number assistance. Note: It is not possible to get a social security CPR number, without having a fixed address. Bank account assistance in opening bank account where your salary can be credited. Note: It is not possible to open bank account without CPR Number and a fixed address. 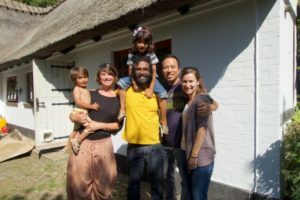 Ongoing guidance and support services in Denmark for the full duration of your stay, from helpful and friendly staff who are passionate about travel! If you’re from outside of the EU, you’ll need a residence and work permit. Be between the age group of 18-36. Have a valid private health insurance. You must have sufficient funds to pay for food and accomodation during the first part of your stay. You must be able to pay for your trip home. This means that you must have a return ticket or sufficient funds to buy a return ticket. Select your arrival depending on Seasons in Denmark. The first aspect you will want to consider is the season of your arrival. Denmark is in the temperate zone. The Danish weather can be rather unpredictable, but one of the really nice things about Denmark is the fact that we experience all four seasons. The change of the seasons always gives us something to look forward to; the wonderful sceneries of winter, – the start of a new year when every bush and tree awakes with new light green leaves, – the green fields, the colorful blossoms and the sound of the bumble bee during summer and the magnificent colors of autumn. Every season has it’s own charm. All of this makes Denmark a place to visit all year round. You just need to pick YOUR favorite season. June to August: Summer. We don’t have tropical summers here, but the summer season is wonderful just the same. The Danish summer is fresh with temperatures between 21 and 32 degrees Celsius. Since this country is surrounded by water/beaches, spending the summer, licking sun, waterskiing, sailing, playing beach volley or just strolling along the water edge are outdoor activities, we enjoy. September to November: Autumn. Autumn is the “quiet” season with memories of the summer. it’s the time of the year to replace the shorts and t-shirt with a sweater and jeans and go hunting for mushrooms, collect seashells and amber (if you know where to find it!) and – of course – prepare for the upcoming winter season. December to February: Winter. The winters are usually not particularly cold with mean temperatures of around 0.5 °C. We HAVE seen really cold ice winters, where the temperatures reached a bottom low of -20 degrees C and the fjords froze over. The lowest temperature of -31.20 C in Denmark was on the night between 7th and 8th of January 1982. Now THAT was cold! Working holiday jobs vary by where you are living, but are typically more manual labor rather than office jobs since the government doesn’t want you getting too attached or taking well-paying jobs from their citizens. They range from bartending, farm work, barista work, pearl diving or fruit picking. Just remember that under most visas you can only work at one job for 6 months, followed by another job for 6 months if you so choose. Have a CV or resume typed out and printed before you leave so that you can easily start handing them out as soon as you’re running low on funds. There are various agriculture and farm vacancies in Denmark during summer and spring. You could pick strawberries in June or July, cherries in July and August and apples in September andOctober. 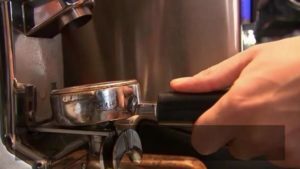 This involves working in bars, pubs, hotels, campsites, restaurants, cafes, receptions, laundry work, ground keeping gardening and maintenance along with odd jobs This area of work is ideal for anyone on a traveling working holiday. It does not necessarily require too many prior skills. You should be able to quickly “learn on the job”. Again, a number of these job areas will entail a lot of socializing. This is an ideal way to meet local people, as well as meeting people from other countries and cultures. Previous experience might help, but what would be useful if you are dressed neatly and naturally have an outgoing personality. This involves working as an Au Pair or Nanny. In Denmark, this will quite often mean “living in”, meals may well be provided. This might also mean the use of a car is thrown in as well. You may be asked to take young children to kindergarten, or to their schools and back. To accompany them t the park or to play areas. With very young children, you could be asked to “change them” and bathe them. There may be general cleaning duties as well. If you are looking for causal agricultural work, there are a lot of opportunities with seasonal crop and fruit picking. For example, the strawberry picking season is June and July. The cherry-picking season is July and August. While apples are harvested between September and October. By looking carefully on line , you will find there is a range of work available in either summer or winter holiday resorts. Specialized jobs, can also be found in any of the major cities. Is it easy to find a job on a working holiday visa? It should be fairly easy to get a job – it mostly depends on your own requirements for a job and your expectations. It is of course not possible to make big jumps in academic careers on a working holiday visa, but if you are happy with a job as a waitress, cleaner, clerk or perhaps the more exciting job as a guide, diving instructor or cattle farmer, we can guarantee you a successful stay. The intention of a working holiday is of course the actual holiday, but you get the opportunity to work and finance the experience. What should I have in pay? There is not always a precise answer to what you should have in pay because it depends on many different factors. If there is no agreement at your workplace, you must agree with your employer. Denmark is one of the few Western countries who never had a national minimum wage. 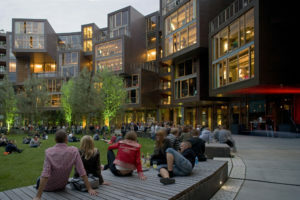 The high collective coverage at the Danish labor market, which has meant that most low-paid workers have instead been covered by the collective agreements on the minimum wage level. The average minimum wage for all private and public collective agreements is approx. 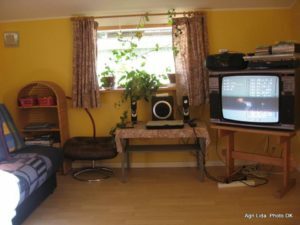 110 kr per hour. The general working time is 37 hours per week, 5 days workweek and approx. 7.5 hours per day. For example, if you plan to work on a farm, you could get staff accommodation at a reduced rate. If accommodation is provided then there is a good chance that you will have to share a room. This will include wash rooms, laundries etc. 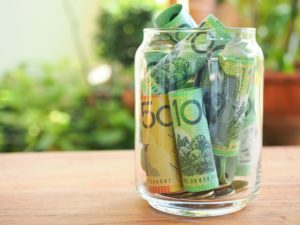 There could be a demand for a “damage” deposit, and you may have to pay one or two months in advanced rent. Also keep drinking and any other activities to a minimum, to avoid problems. The cost of accommodation will vary to some extent from city to city. If you plan a gap year or a working holiday, and there is no accommodation included, then you will have to take the average price of reasonably cheap place to stay, into consideration. So you have a good idea of knowing your over all budget before you go..
You tend to pay for what you get. The quality of hotels in Denmark is good overall, but this can vary. There will be a difference between the cities and the country, where the country will tend to be cheaper. Plus at the ”cheap” end, the quality tends to be better, as well. This is probably one of the cheapest and convenient ways of finding shared or communal accommodation. 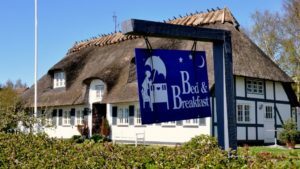 This is also a safe method of finding accommodation as hostels in Denmark are regulated, approved and inspected by the Danish Hosteling Association. Toilets, shower areas,bathrooms and cooking areas are shared. They may not all be “basic”. Some have swimming pools as well as fitness centers. Pre-booking is essential as places fill up quickly. 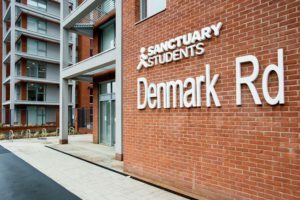 This could be another option for international students wishing to study in Denmark. You are given your own private room and become effectively, part of the family. This way you get to learn about Danish culture. These will be organized through colleges and individual schools. Universities, Colleges and Schools may have their own accommodation for students. These will usually include a private bedroom, along with shared washrooms, laundry and canteens. This is a good way to meet and mix with other students. Universities and colleges will often offer listings of available private rented accommodation. There will also be on line sites and adverts in local newspapers. Real care could be needed in this area. Any lease or agreement with a private landlord will need to be looked at very carefully prior to renting. Visit the accommodation first, as well. This could be well be an expensive option in major Danish cities. This will also quite probably mean shared accommodation, in order to bring down prices. You may need to get in contact with a provincial tenancy office as well. This will give you freedom away from the campus, if you are an international college or university student. When is the best time to start the Work and Holiday application? We advice 3-4 months prior to departure, so you have plenty of time to work on your files, bookings and CV/resume. Simply get your visa first and then book your flight. How does No Visa, No Fee Guarantee work? We believe that offering a No Visa – No Fee guarantee helps you feel confident that we will do everything we can for you. It helps you know that we would not take on your case unless we are very confident of your application being approved. We provide personalised service. We will get to know you and your needs and will maintain close communication on the progress of your application. You can call or email at any time with questions. During your initial consultation, we will assess your circumstances to determine what options are available to you. If you are eligible for the visa covered by our No Visa, No Fee Guarantee and you meet the criteria for the visa, you will be offered our No Visa, No Fee Guarantee. If you proceed to engage us to handle your visa application and your application is refused we will refund our professional fees in full for your visa application. As you can imagine, We will not risk taking on your case if we are not confident that you’ll get your visa. That’s why we ask all the questions before we get started, to remove any ambiguity. We reserve the right to refuse to lodge any visa application, for whatever reason and a full refund will be made. An applicant provides false, misleading or cannot be independently verified, information, a bogus document or inaccurate personal identity information. An applicant fails to provide documents, information or paying required fees and charges within the timeframes provided. A change in legislation or policy after the application is lodged leads to application failure. Failure by the applicant to secure an invitation to apply for the visa. An applicant decides to withdraw their application. Failure of the applicant to follow our advice or instructions. Instances where the applicant is unlawful at the time of application. When you are approved for a residence permit for Working Holiday to Denmark, you will receive a residence card when you have arrived in Denmark. The decision letter will instruct you how to receive the residence card. We offer you guidance regarding what to do once you have arrived in Denmark. When to pay your fee? The fee is typically due 30 days ahead departure. The final invoice will be sent to you directly via email and instructions on how to pay invoice. Non-cash payments are preferred. Cancellation within seven (7) days of registering: refund 100% of program fee, except a $300 cancelation fee will not be refunded. Cancellation after the Work and Holiday Visa acceptance has been received: No Refund. In the case of an event beyond the control of the participant (i.e. accident, death in the family, impossibility to travel for medical conditions not known at the time of the enrolment), agri LIDA may consider at its own discrretion the possibility of a partial refund of the program fee. In these circumstances, Official valid documentation must be provided at least 10 days prior to the departure date will be required in these circumstances. No refunds will be made for medical conditions preexisting prior to the program registration. Any cancelation must be made in writing and is only effective from the date we receive it.